The Fiesole shams are made with the finest 1,000 t.c. sateen. The stunning silky hand and the brightness of the fabric are the result of the use of long-staple Egyptian cotton and of the excellent Italian finishing techniques. The very high quality of the fabric together with the subtle elegance of the hemstitch finishing all round the four flanges guarantee an extrasensory experience for the skin and for the eyes. Available in Standard, Euro and King sizes, in the classic White and Ivory colors. Made in Italy. 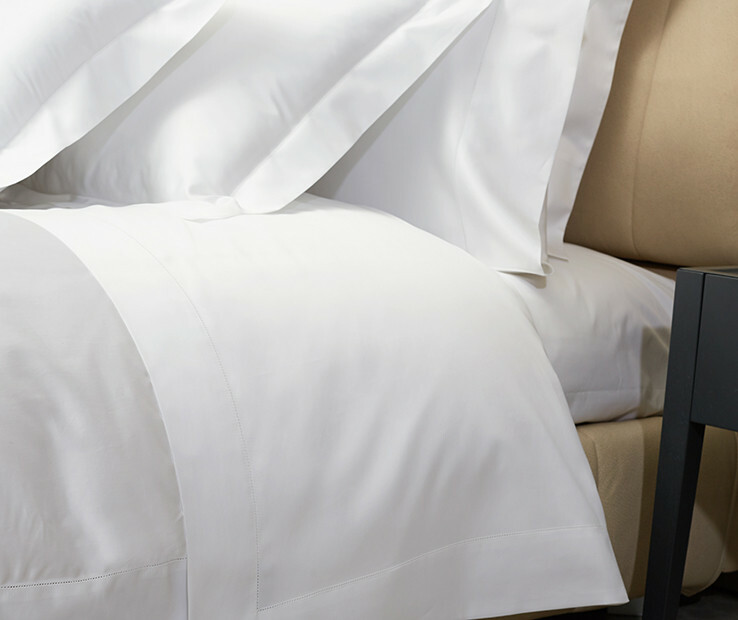 The Fiesole duvet cover is made with the finest 1,000 t.c. sateen. 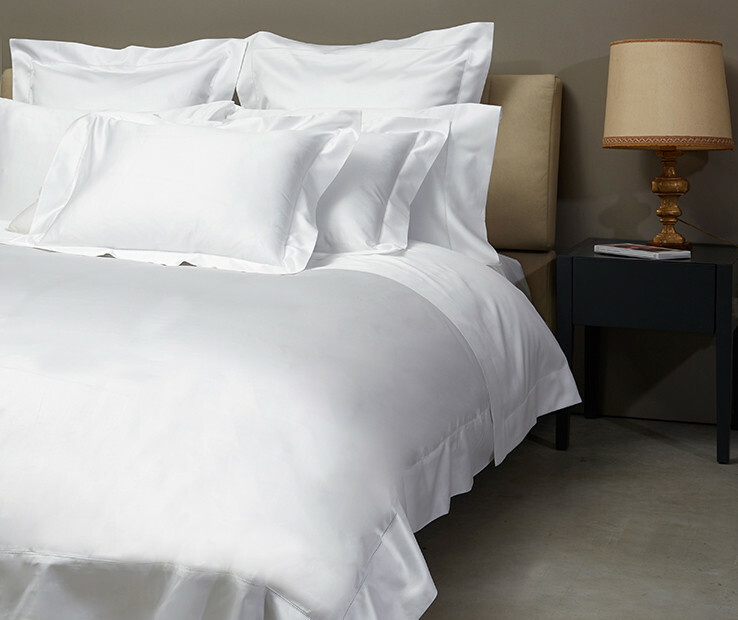 The stunning silky hand and the brightness of the fabric are the result of the use of long-staple Egyptian cotton and of the excellent Italian finishing techniques. The very high quality of the fabric together with the luxurious construction with the three flanges decorated by the hemstitch finishing, guarantee an extrasensory experience for the skin and for the eyes. Available in Twin, Queen and king sizes, in the classic White and Ivory colors. Made in Italy. 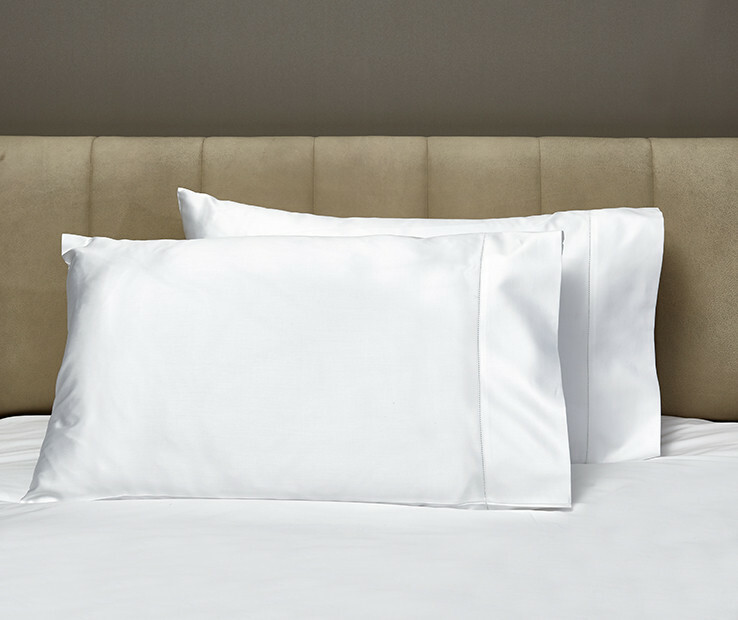 The Fiesole flat sheet is made with the finest 1,000 t.c. sateen. The stunning silky hand and the brightness of the fabric are the result of the use of long-staple Egyptian cotton and of the excellent Italian finishing techniques. The very high quality of the fabric together with the subtle elegance of the hemstitch finishing guarantee an extrasensory experience for the skin and for the eyes. 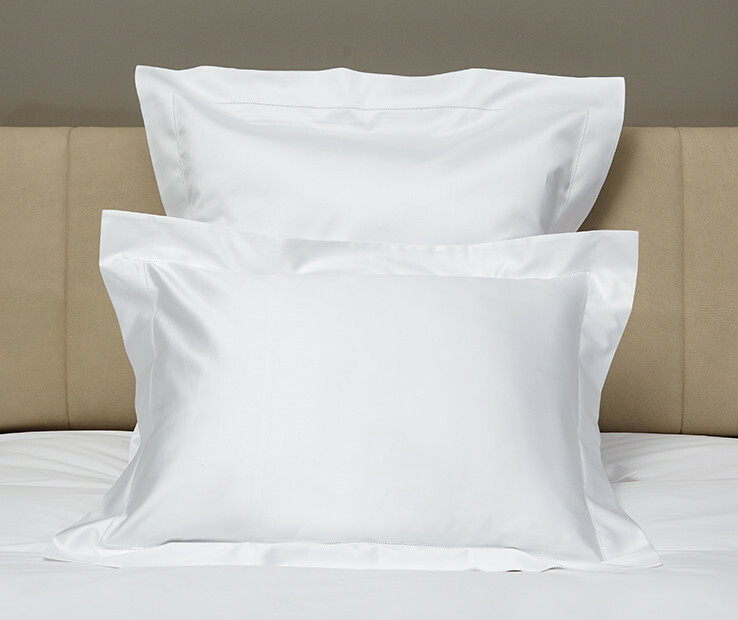 The Fiesole pillowcases are made with the finest 1,000 t.c. sateen. 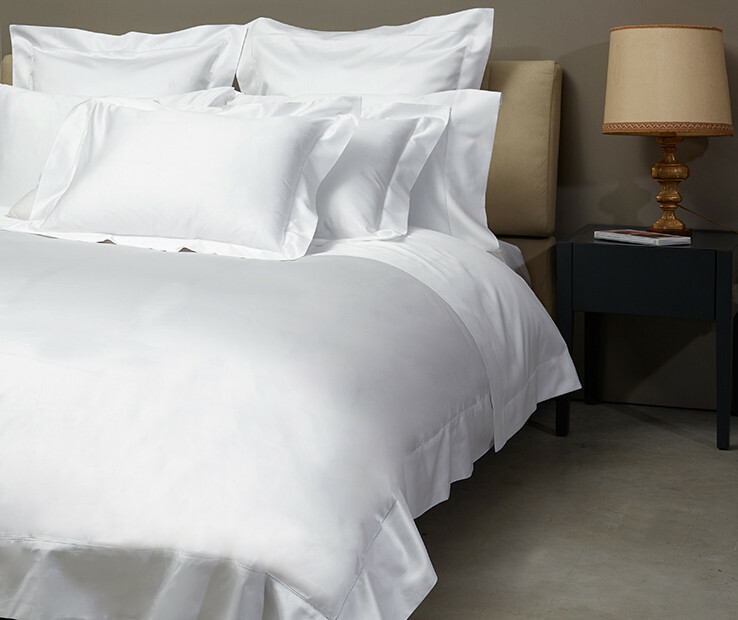 The stunning silky hand and the brightness of the fabric are the result of the use of long-staple Egyptian cotton and of the excellent Italian finishing techniques. Available in Standard and king sizes and in the classic White and Ivory colors. The set includes two pillowcases. Made in Italy.